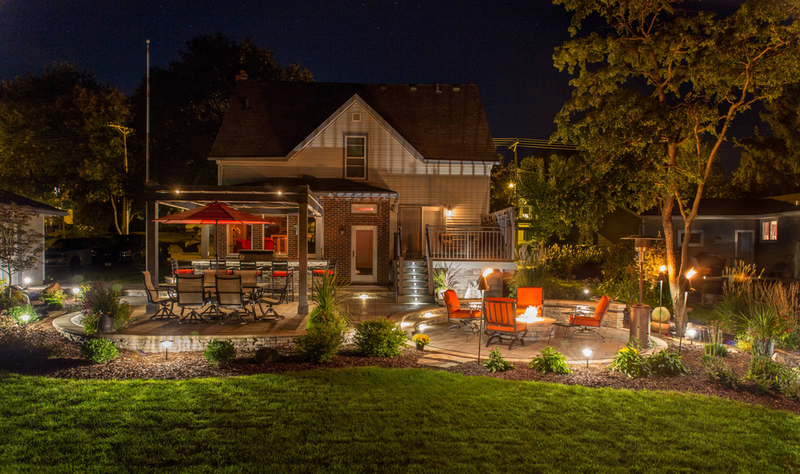 Enjoy your outdoor living spaces - even after the sun goes down. Expert landscape lighting - designed & installed. Today, there’s no need to limit your outdoor entertaining to the daytime hours. Let the team at Proscapes help you add hours of outdoor enjoyment with professional landscape lighting accents for your outdoor living spaces. With extensive experience in designing and installing landscape lighting systems that look fantastic and use minimal energy for maximum effect, our landscape lighting systems bring safety, beauty, and improved function to any landscape design. From patios to formal gardens, walkways to driveways, and front entrances to ponds and waterfalls, trust Proscapes to deliver an outdoor lighting system that extends your home’s useable space - even after dark.